Find out how to win an EPT package & free sports bets through a $2 buy-in motor-themed poker tournament at PokerStars. Interested in winning an all-expenses paid poker trip to EPT Prague? Want to freeroll your way through some sports bets? How about a Formula One sweat? All that is waiting in the upcoming promotion being put on by PokerStars and BetStars. 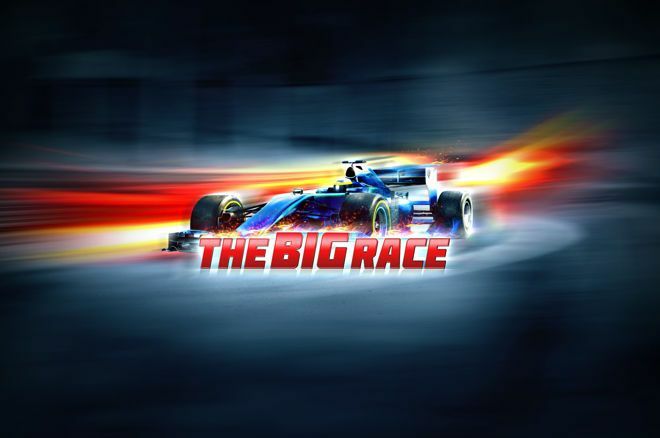 The Big Race is a $2 buy-in tournament with a motor-sports theme, serving as a lead-up to the highly anticipated Russian Grand Prix on Sept. 30. The tournament will kick off on Sunday, Sept. 23 at 2:00 p.m. ET and the top 20 players will be randomly assigned a driver in the Formula One race. The player with the winning driver will receive an EPT Prague package valued at €7,200 which includes eight nights at the Hilton Prague Hotel, a €5,300 EPT Main Event entry, and €500 in spending money for the prestigious event that runs from Dec. 7-18. In addition to this lucky winner, 500 more players will walk away with between $2 and $50 in free sports bets through BetStars. That's $2,500 worth of free bets up for grabs in a $2 tournament. This isn't the first time that The Stars Group has put together a race-themed tournament. Earlier this year, PokerStars ran a $2 horse-themed tournament with the same premise, and Chris Hopgood got a sweat of a lifetime after finishing in the top places of the poker tournament. When "Native River" crossed the finish line ahead of the field, Hopgood secured himself a poker vacation to PokerStars Festival Marbella, a package valued at £3,000 - not bad for a $2 investment. At the time of his win, the recreational poker player from Wimbledon reacted: "I can't believe I've won! Now I'm off to Marbella all for $2! I'm nervous but very excited to get to play in my first big live tournament! Native River will be a horse that I will never forget." For a chance at a juicy Grand Prix sweat and some free sports bets, players can register for The Big Race tournament for $2 by searching for the event name or using tournament ID 2404960617. Betting for the Russian Grand Prix will open at BetStars on Sept. 17. Also in Russia, the EPT Open Sochi takes place Sept. 21-29, where six $30,000 Platinum Passes for the 2019 PokerStars Poker Players Championship (PSPC) will be awarded. Players have a chance to win a $3,100 package to the festival through $5.50 Spin & Go's running on PokerStars until Sept. 16, at which time satellites for December's EPT Prague festival will commence.